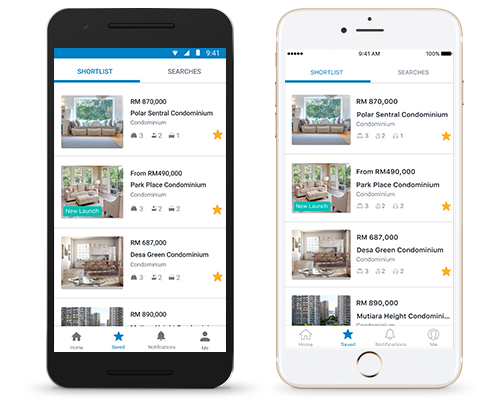 Download the iProperty Malaysia App Now for FREE! Personalisation with a better user experience. 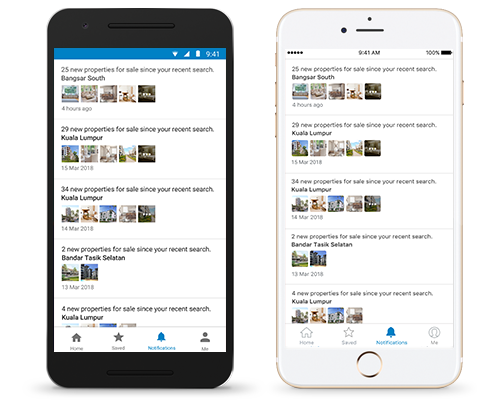 Smart notifications to let you know when new property listings hit the market and meet your criteria. 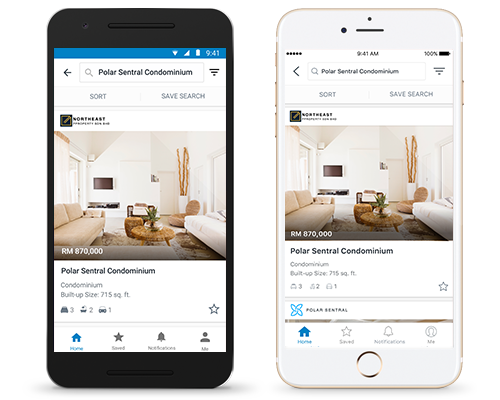 Showing the new developments and the sub-sale properties side by side in the search results brings a larger audience to the listings and gives users more options to find their dream home. 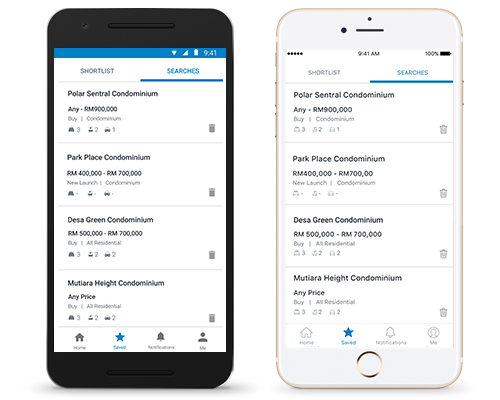 Shortlist favourite properties easily and view the shortlisted properties in the Saved tab, allowing users to have a personalised experience. Saving the search allows the users to easily repeat their favourite searches with specific keywords and filters and see the search results with a single tap on the saved search.